The benefits of the class and the practice students learn within it are profound, many who were suffering for years from chronic illnesses and pain found themselves greatly relieved after the first few classes. Many others who had been looking for a true spiritual practice for their whole lives finally found what they were searching for. After this class students are ready to begin their own daily meditation, building upon what they have learned with a steady influx of intuitive insight, wisdom, and realization flowing out of their daily practice. Class Fee: $300 Schedule: Please check the event announcement for details. After completing the first three day class students are encouraged to take a five day class that builds on the foundation of the first class to introduce more advanced concepts and deeper levels of cultivation. 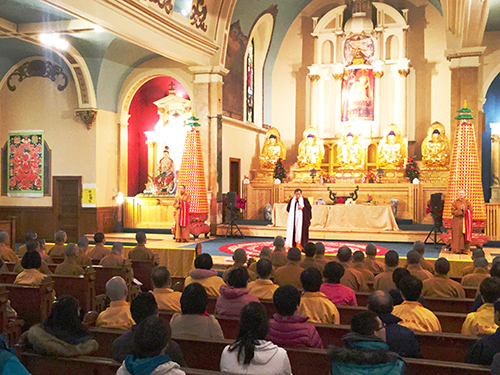 During the five day class, Holy Master Ziguang Shang Shi will channel more energy and divine intelligence, which can penetrate deeper providing more profound healing effects and deeper spiritual realizations for students. 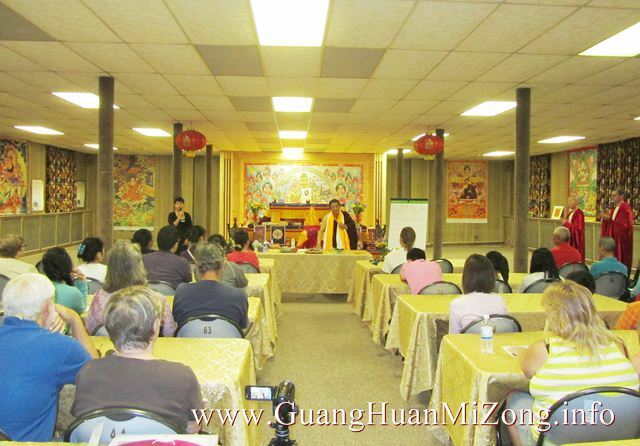 For students who want to go further still into the practice of Guang Huan Mi Zong Dharma, there are several long term programs available for people of different levels and different goals such as spiritual retreat and the Red Robe Preacher Program.